Criminal neglect--that's what the Bush administration is guilty of in not heeding the loud warnings of the CIA about the coming al-Quaeda attacks in 2001. 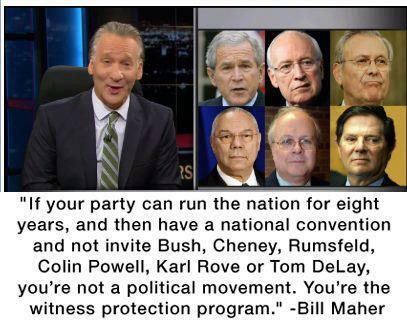 It's no wonder the current GOP does not want to parade these guys before the public. A strong case could be made that they should be prosecuted for both their neglect of national security AND their pre-emptive lauching of a war on false pretenses against Iraq. Yet Romney listens to advisers of this same neocon ilk, many of them holdovers from the Bush years like the belligerent John Bolton. He is just itching to get us into a war against Iran but I am sure he has told Bibi this can happen only AFTER he has secured more tax cuts for the rich and gutted Social Security, Medicare, and Medicaid.